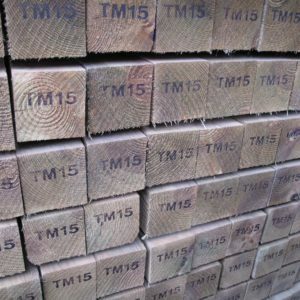 Our range of Goodwood fencing timbers are pressure preservative treated with TANALITH E wood preservative and come with a 15 year guarantee against rot for both in and out of ground contact situations. Manufactured purely from redwood species our Goodwood fencing timbers are kiln dried and then preservative treated to meet either Use Class 3.2 (external out of ground contact) or Use Class 4 (external ground contact) applications. The ground contact posts of the Goodwood range carry a distinctive year brand for easy identification. The Goodwood fencing range includes posts, rails, gravel boards, fence boards, featheredge boards and battens – all manufactured from redwood species.